Father Thomas Pettei blesses the statue of Our Lady of Guadalupe. 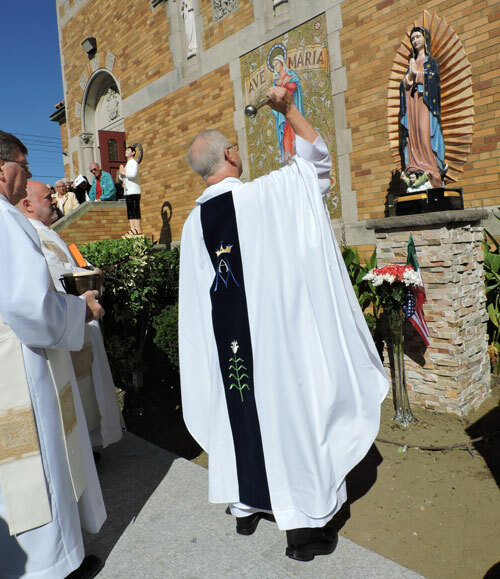 The Mexican and Filipino communities at Nativity B.V.M.-St. Stanislaus Bishop and Martyr parish, Ozone Park, are rejoicing over statues of their beloved Our Lady of Guadalupe and St. Lorenzo Ruiz, respectively, that now grace the parish grounds. Father Thomas Pettei, episcopal vicar of Queens, blessed the statues, which flank an image of the Blessed Mother outside Nativity B.V.M. 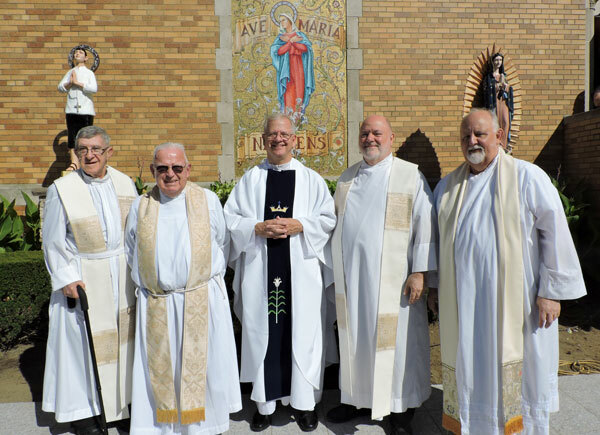 Church, on Saturday, Sept. 9, after celebrating morning Mass for the multicultural parish community. Father Paul Palmiotto, pastor, was among the concelebrants. 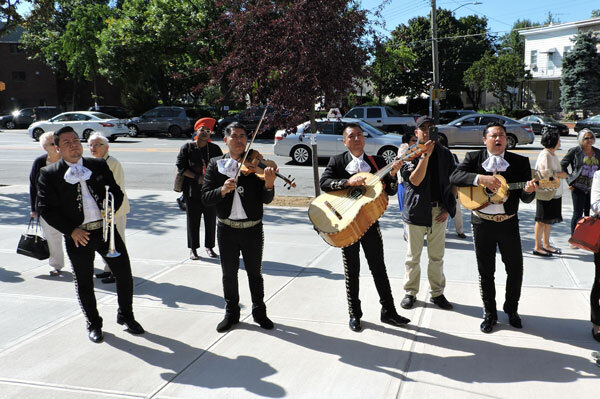 Hymns were sung in English and Spanish during the Mass, and afterward, attendees listened to mariachi music while enjoying breakfast in the church basement. 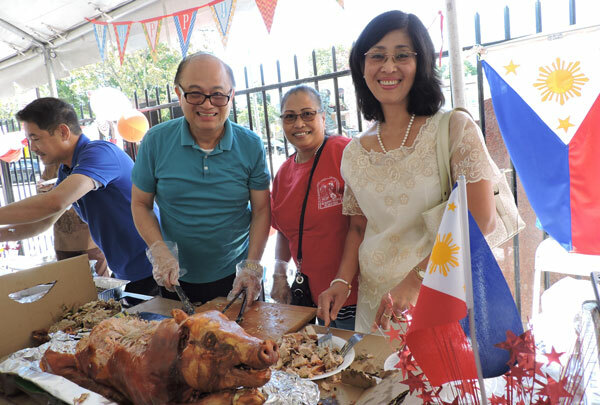 The event also kicked off the parish’s International Food Festival, which not only included homemade ethnic fare, provided by parishioners, but also featured music, entertainment and various activities for children and families.